of the Securities Litigation Reform Act of 1995 and applicable Canadian securities laws. 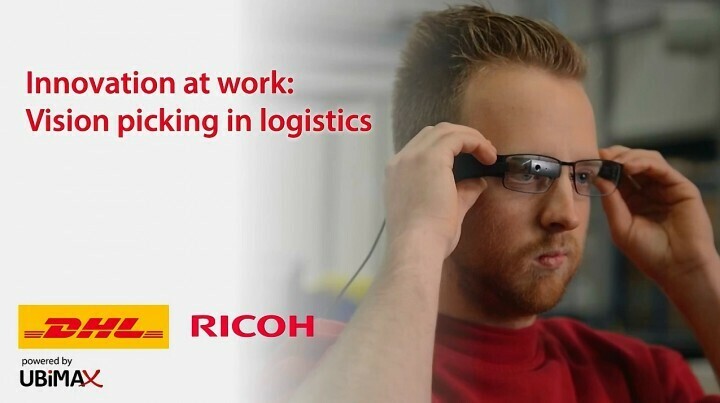 Forward-looking statements contained in this release relate to potential impact of success of the Ubimax/DHL pilot, , future business opportunities with Ubimax, DHL and others, and the value of the IP portfolio, among other things, and the Company's leadership in the Video Eyewear and AR display industry. They are generally identified by words such as """"believes,"""" """"may,"""" """"expects,"""" """"anticipates,"""" """"should"""" and similar expressions. Readers should not place undue reliance on such forward-looking statements, which are based upon the Company's beliefs and assumptions as of the date of this release. The Company's actual results could differ materially due to risk factors and other items described in more detail in the """"Risk Factors"""" section of the Company's Annual Reports and MD&A filed with the United States Securities and Exchange Commission and applicable Canadian securities regulators (copies of which may be obtained at http://www.sec.gov and http://www.sedar.com respectively). Subsequent events and developments may cause these forward-looking statements to change. The Company specifically disclaims any obligation or intention to update or revise these forward-looking statements as a result of changed events or circumstances that occur after the date of this release, except as required by applicable law.